Theme: An black family of ten children led by an imposing and often downright evil mother during a period of intense change for the African-American community in the 1950s and 1960s. For Black History Month, USA was decided upon for the February Book of the Month location, with an emphasis on books touching upon themes regarding the lives of the African-American community. 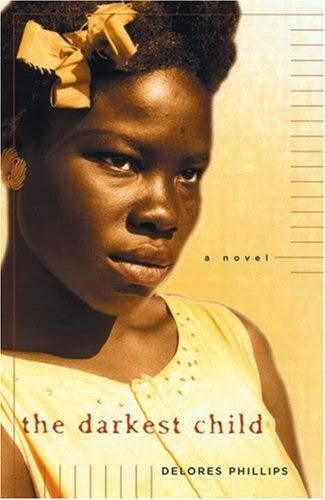 Of the books presented, I decided to go with The Darkest Child by Delores Phillips. This book, while marvellous, is also troubling at times, going well beyond the social setting and actions that should be troubling enough on their own. This is not a failing, but a concerted attempt at ramping up a depiction of the reality of the period in its own unique way. The feeling is made particularly severe by the fact that the most troubling aspects come from the mother in the family portrayed rather than from the social issues of the time. With Rozelle and 10 children, as well as numerous other characters, not many get to shine. But as the two main characters of the book Rozelle and Tangy Mae get characterised to a great extent. Rozelle is terrifying as a parent and as a person, one whose absolute control over her children's lives while increasingly leading a deranged existence. She is demanding in all the wrong ways, and in many ways sets about ruining the lives of Tangy Mae and her siblings. Tangy Mae, on the other hand, comes across as a very sympathetic character, a remarkably bright, young girl whose chances of becoming a success in her right are hampered by her mother's rigid notions of what might be appropriate. The story thus largely revolves around these two while others remain as supporting characters. It's these characters, their issues with each other, the problems that turn up, and the well defined settings that make this novel work, and drive the story forward. So what did I think of the story and the characters? Definitely good, somewhat troubling in phases. Sadly, many of the characters did not get to be fleshed out as a result of the large cast, which is less than pleasing but understandable. The characters that did get focused on were very well constructed, and the language certainly contributes. Beyond being set in conserative Georgia the location did not matter quite as much in terms of contributing to the feel of the tale, alas! Would I recommend this book? Wholeheartedly. It can be quite specific in terms of mistreatment, but one should be okay with it all by now! Sorry, not the greatest review. It's been a busy few days and I need to get this review done quickly. Hopefully I can do this one properly later. For now, farewell, and see you soon! Great review, Shreyas. I agree the large cast makes it difficult to flesh out all the characters. It's also interesting seeing the mother figure as the villain. Thank you for participating in February's reading challenge. i read this book because a my co-worker told me it was a great book, she was right. the things this girl went through was crazy, but the mother was something else!! !